My name is Pankaj Sharma and i with my team are working to change the way of learning for students at Technical colleges all over the country. 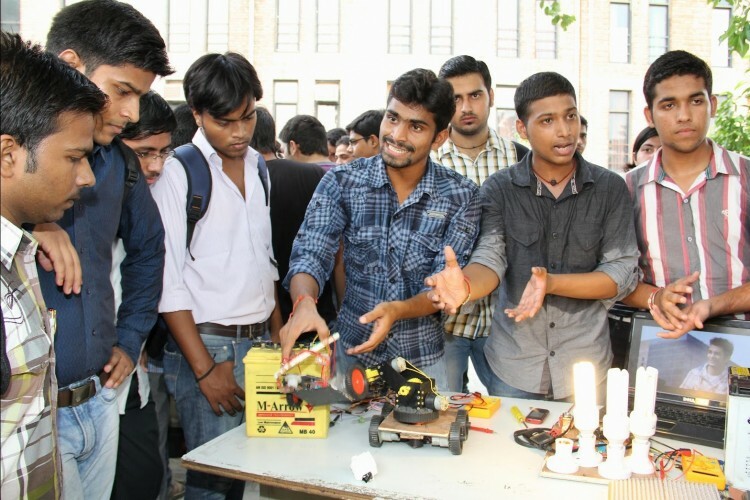 In present condition There seems to be a significant skill gap in the country as 80% of the technical graduates are "unemployable," says Aspiring Minds National Employability Report, which is based on a study of more than 1,50,000 engineering students who graduated in 2015 from over 650 colleges, 80% of them are unemployable. The second problem is how many, even among those who get employed, are competent engineers it clearly highlights the need for an upgraded education and training system. This is where we come in we are a budding startup aiming to spread awareness through organizing seminars, technical workshop, and a National Level Competition to create a pool of intellectual minds empowering them and giving a chance to achieve their dream job. I myself belong to a middle-class family background, my parents invested heavily for my education still the good offers I got being a mechanical engineer were from IT dept. that's too sad something needs to be done about that. join us in bringing a change in the ways our education society works by creating a much-needed platform outside the spectrum of IIIT'S. our first Nation wide National level technical event is launching this year starting in the month of August for the same we are looking to raise funds. Your share could be as good as a donation for pankaj sharma! Not everyone can afford to take care of their loved ones. pankaj sharma's life can only be saved by donations made by kind people like you.